There’s always inspiration to glean from looking beyond your direct competitors and outside your category. While at first glance, certain things that brands are doing might seem to have little in common with your healthcare branding, brand-building principles transcend categories. With these in mind, the universe then becomes your playground for inspiration. And it’s just a matter of how wide-open your lens is to outside influence. In this case, it’s a great reminder for hospital marketing teams about the power of your brand assets. And its complements of condiment brand Heinz. When it comes to healthcare branding, inspiration truly can be found in many places. Here’s the backdrop for this reminder about the power of brand assets for healthcare branding (thanks to Contagious for running with the story). In Brazil, like in most countries, food brands must specify all product ingredients on packaging. The problem is that most ingredients are printed on a back label in tiny fonts. This makes it hard for companies like Heinz – who claim to only use natural ingredients – to stand out from brands who use artificial ones. 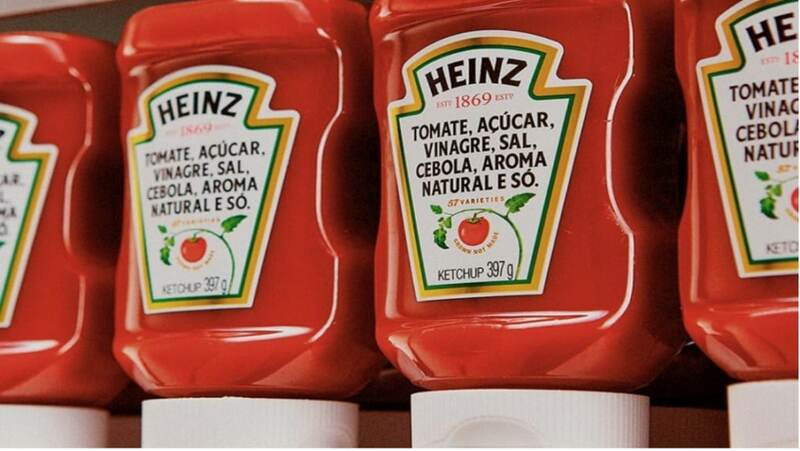 Heinz, together with Africa, São Paulo, altered the company’s 140-year-old label, putting the six ingredients found in ketchup front and center. 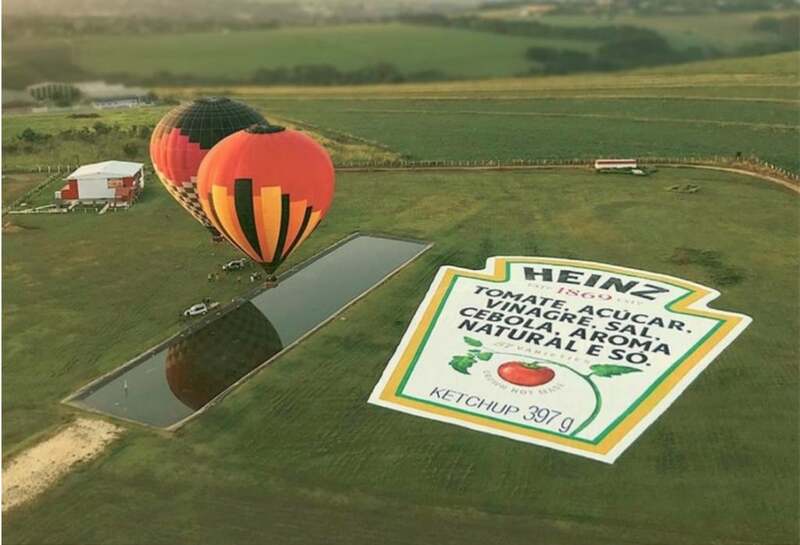 The marketing campaign also involved placing a gigantic version of the new label next to Brazil’s National Skydiving Centre to be seen by skydivers, parachutists, hot air balloon aficionados and ‘even those in outer space’, according to the brand. for any piece of brand communication to work, people must be able to identify the brand that is being advertised. This is vital goal of any execution, yet figures routinely show that on average ½ the people who see an advertisement fail to correctly identify the brand. Heinz can pull something like this off because they’ve been consistent with their label — featured across multiple touch points — for many years. So they’ve built a visual identity that is easily recognizable even when altered slightly. This has earned the brand the right to tap into the creative potential of its distinctive assets. Could your healthcare brand or hospital brand do this? Could you take your name off of “your label” and there would still be no mistaking it? distinctive assets represent a considerable competitive advantage to brands. When you have a distinctive feature it should be regularly featured in all communication material to install into long term memory. This also helps build a sense of familiarity, which creates an emotional reassurance of the brand (and this in turn helps nudge purchase). Some elements that drive distinctiveness — which you’ll picture as you read them — include colors (e.g. Tiffany blue box), logos (e.g. Target bullseye), shapes (e.g. Toblerone sleeve), tag lines (e.g. Nike’s Just do it), symbols/ characters (e.g. B&G Foods’ Green Giant), sounds (e.g. Intel’s mnemonic tune), scents (e.g. Abercrombie) and advertising styles (e.g. Mastercard’s Priceless campaign). Symbolism triggers decisions by our fast, intuitive System 1 brain. High-performing brands understand the symbolic meaning in everything. Together, these distinctive brand assets constitutes a brand mnemonic – and an intuitive language for talking directly to consumers’ decision-drivers and ‘short-cutting’ the chore of decision-making. It’s important to ensure your healthcare marketing ideas consider this. Distinctive brand assets provide memorable hooks that help your healthcare branding strategies stand out and be recalled easier. If your brand doesn’t have or is not leveraging them, you need to start today (and then invest long-term behind it). The goal is to be consistent yet fresh. You need to keep telling your old story time and time again – but in new and engaging ways. Likewise, avoid the common marketing temptation to change things. As an integrated branding and healthcare marketing agency, Trajectory can help you use every moment to move customers, brands and businesses upward. Reach out for a conversation.